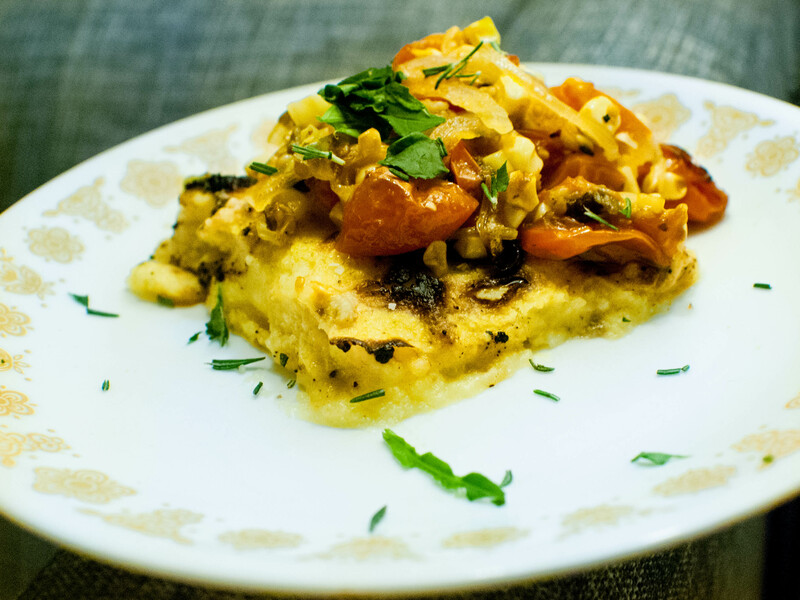 Polenta is an amazing vehicle for so many vegetables. 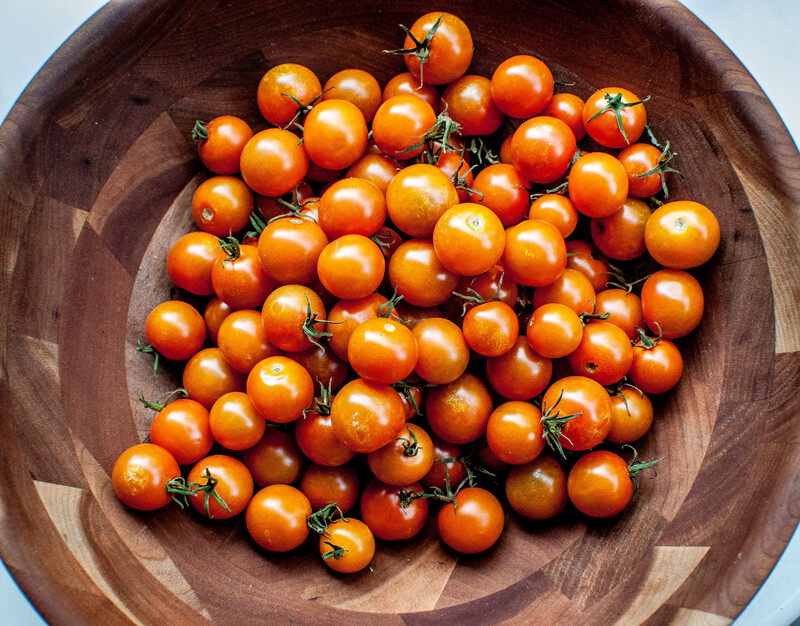 In the summer, I like to roast cherry tomatoes, corn, and mushrooms in the oven and serve over baked polenta. The Mister used to go through the labor intensive process of making polenta on the stovetop, but then we found Joy the Baker‘s amazing baked polenta recipe and haven’t looked back. Its so amazingly simple and there is no need to stand by your oven stirring until your arms ache. I start with her recipe, substituting chicken stock for flavor and goat cheese instead of butter. I also like to add a few red pepper flakes and a little fresh chopped rosemary. 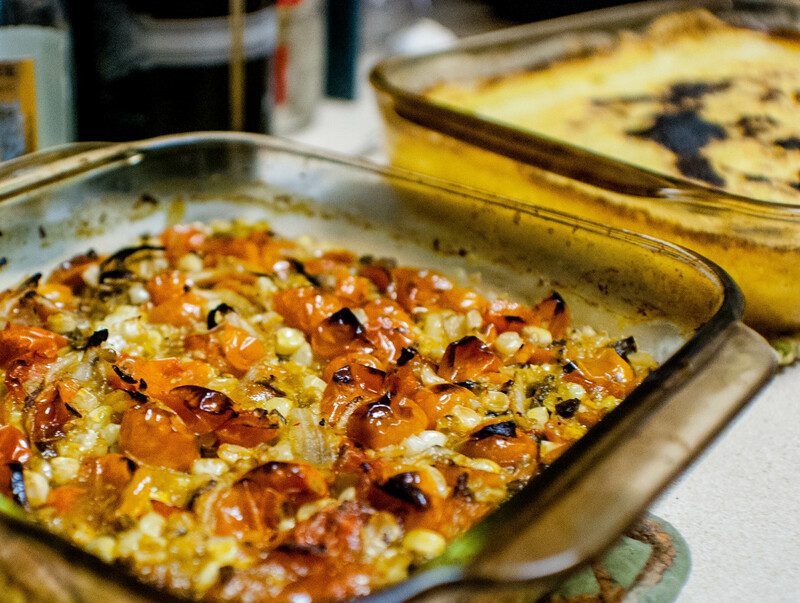 Leave in the oven 10-20 minutes longer if you like your polenta a little firmer. Another nice touch is to finish it under the broiler. There is no set recipe for the vegetables; I usually wing it. 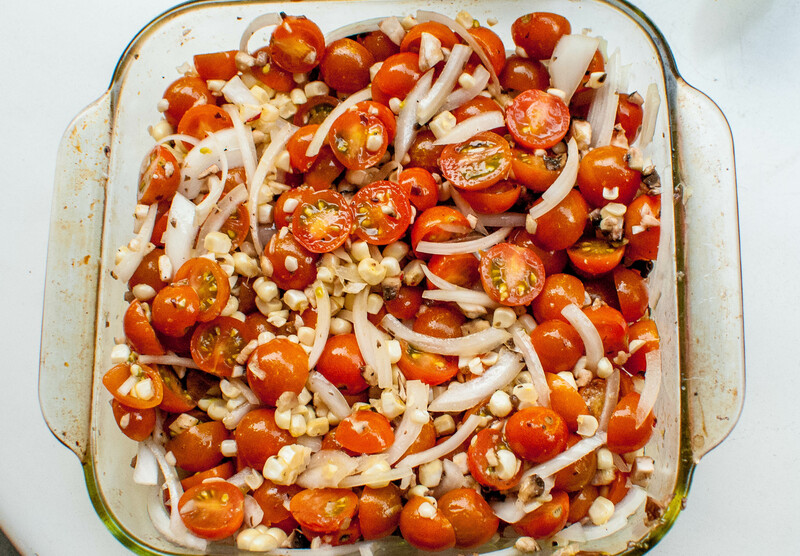 For this version, slice the cherry tomatoes in half and toss with chopped mushrooms, onions, red pepper, and corn cut off the cob. Add garlic, salt and pepper to taste, drizzle with olive oil and stir well. Then pop in the oven along with the polenta, taking the pan out to give them a stir once or twice. 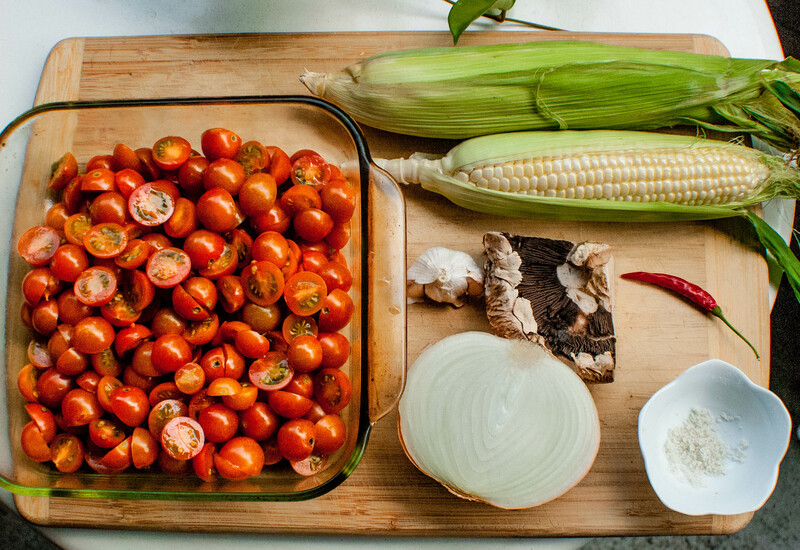 Allow the polenta and vegetables to cool for about 15 minutes. Top with fresh chopped herbs–basil or lemon balm are great–and if you like sprinkle with grated parmesan, sea salt and a drizzle of good olive oil.